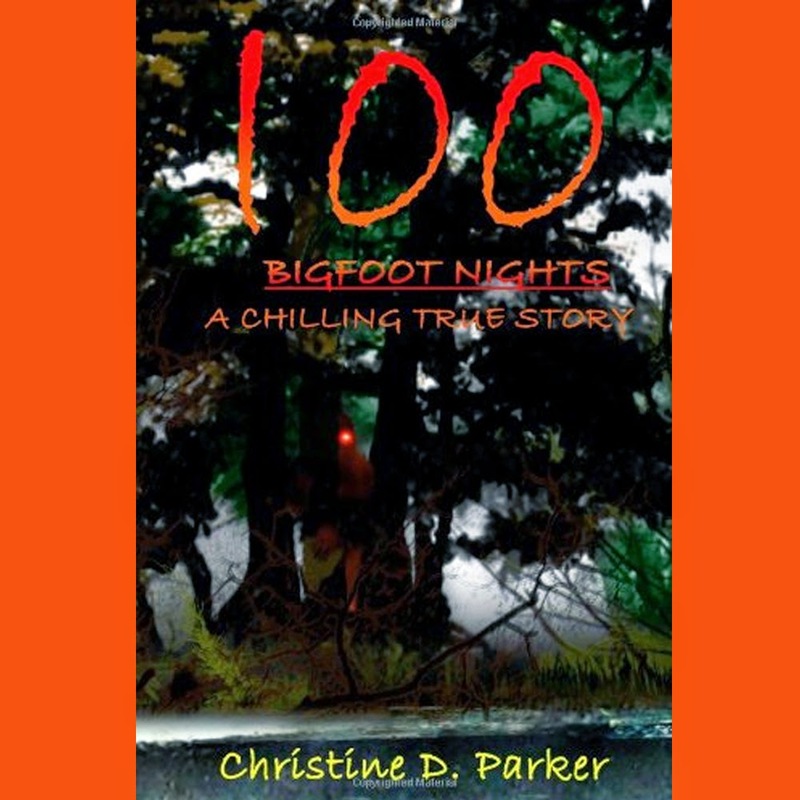 Christine D. Parker is the author of two books chronically the fear and torment experienced by her family living across from a dark forest inhabited by bigfoots and perhaps other things. Ms. Parker will be the guest on Coast to Coast AM Friday January 23rd 2015 with Dave Shrader filling in on hosting duties. This true story sets out to chronicle the terrifying encounters that a residential family has had with the creature known as Bigfoot. Accompanied by video, photographs, and audio evidence, the story is written in Christine’s own words as it unfolds. According to the Bigfoot investigator they contacted, “They aren’t going anywhere.” As the world gets more crowded with us, “They” are left with less and less habitat. They have learned to live in the shadows and pass through the forests by our homes. After reading this book just ask yourself, what would you do if this happened to you? Book 2 of the 100 Bigfoot Night series, a true story. How much can one person take? …when your comfortable reality is shattered day after day? Christine has already been forced to acknowledge things that are far beyond what most people's lives include. Instead of just being a loving housewife and devoted mom, she is now having to face – daily – a growing threat to herself and her family from a dark presence in their suburban neighborhood. Once again, Christine documents her family's encounters with real life versions of creatures of folklore and myth – some with gruesome reputations – and supplements her story with audio, video and still frame images. As the Parker family delves deeper into the mysterious world surrounding their own, they also discover an eerie, spectral presence heretofore unseen by the human eye. As Christine's investigation continues, an inevitable pattern emerges. An indication that 'they' know that the Parkers are aware of them. One by one, each family member has a revealing encounter with… "them." The reason's seem unclear. Territorial aggression? An attempt to communicate? Or something else? When it's Christine's turn to be visited the questions are replaced with terror. I don't see anything interesting in the video. Is there something we should be looking for? Is there a certain timestamp we should focus on?